“Social change requires the active involvement of all parts of society – including, critically, the business community,” said UN High Commissioner for Human Rights Zeid Ra’ad Al Hussein, speaking to business leaders, activists and journalists at Microsoft’s New York City headquarters. Mr. Zeid called on the private sector to play its part in promoting LGBTI inclusion in the workplace and beyond. “The decisions that companies take – whether in respect of human resources, investment, supply chains, even marketing – can have a real and, in some cases, profound impact on human rights,” he told the audience. The new standards set out actions for companies to protect the rights of LGBTI employees, such as eliminating workplace discrimination; making sure business operations do not contribute to discrimination against customers, suppliers or members of the public; and working with business partners to address discriminatory practices up and down the supply chain. They also encourage companies to stand up for the rights of LGBTI people in the countries where they operate – including through advocacy and support for local organizations. The product of a year-long process of consultations facilitated by the UN Human Rights Office and the Institute for Human Rights and Business, including regional meetings with leading business representatives in Asia, Africa, Europe and the Americas, Accenture, Baker McKenzie, BNP Paribas, The Coca-Cola Company, Deutsche Bank, EDF, EY, Gap Inc., Godrej, IKEA Group, Microsoft, Oath, Orange, SAP, and Spotify are among the supporting companies. In the coming months, the standards will be presented at launch events globally, including in Mumbai on 12 October, London on 30 October, Hong Kong on 14 November, Geneva on 29 November and Melbourne in 5 December. 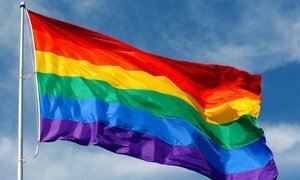 While many governments are moving in the right direction, too many are falling short when it comes to protecting the rights of lesbian, gay, bisexual, transgender and intersex people, the United Nations human rights chief said today, urging all States to outlaw discrimination against this community.